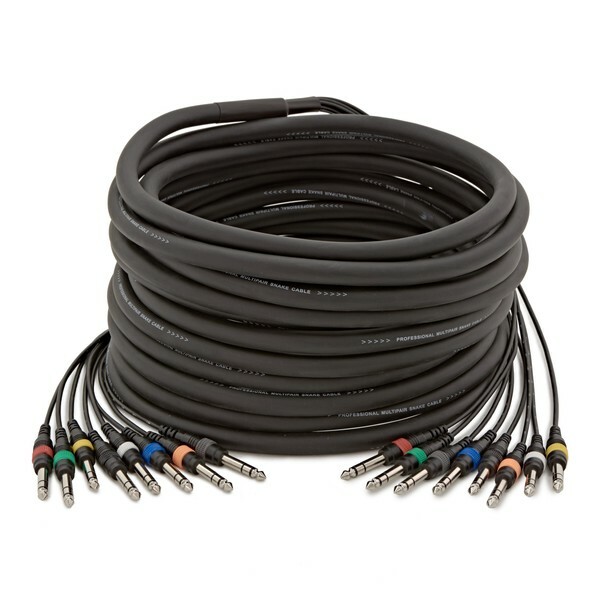 8 way 1/4" (6.35mm) stereo jack audio loom with moulded plugs incorporating strain relief sleeves. 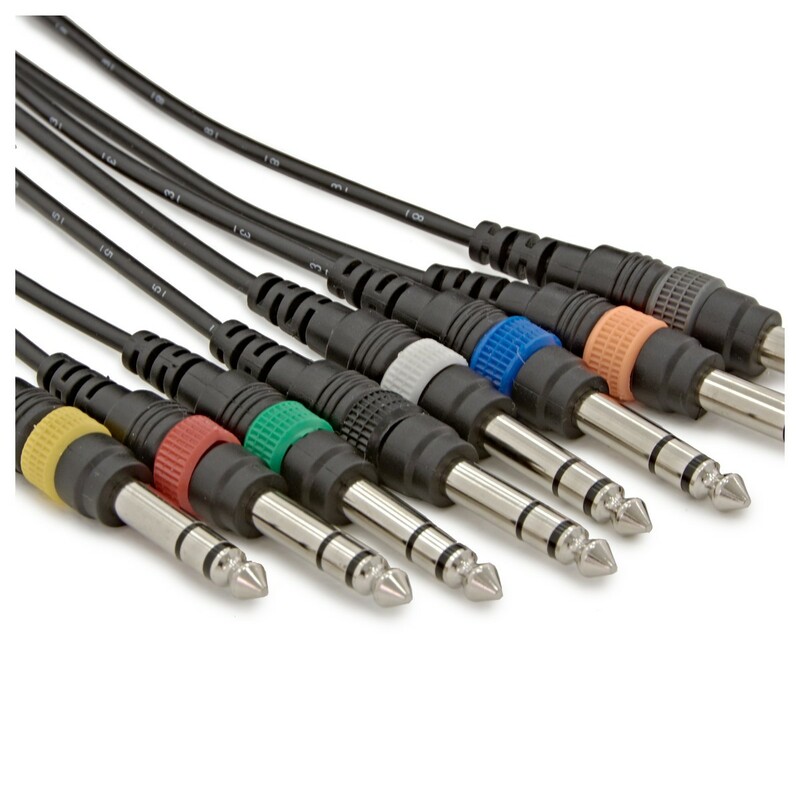 PVC sleeved for ease of use, with colour cod12113ed tails for easy channel identification. 32.8 ft.